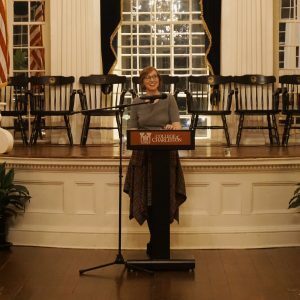 An alumna of the College of Charleston, Jen Julian currently teaches fiction and literature at Allegheny College. She received her MFA in Fiction from UNC Greensboro and her PhD in Creative Writing from the University of Missouri, Columbia. 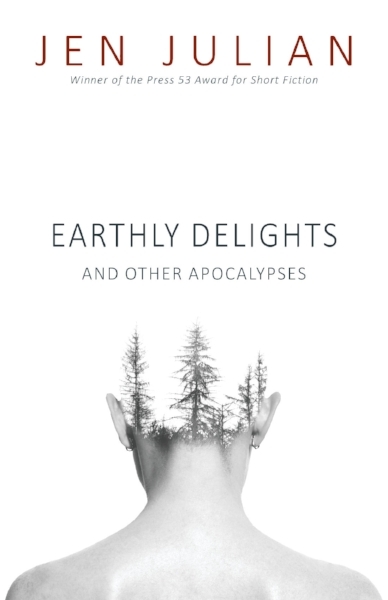 Her debut short story collection, Earthly Delights and Other Apocalypses, won the 2018 Press 53 Award for Short Fiction. Her fiction and essays have appeared in TriQuarterly, Beecher’s Magazine, The Greensboro Review, The Chattahoochee Review, and Cleaver. 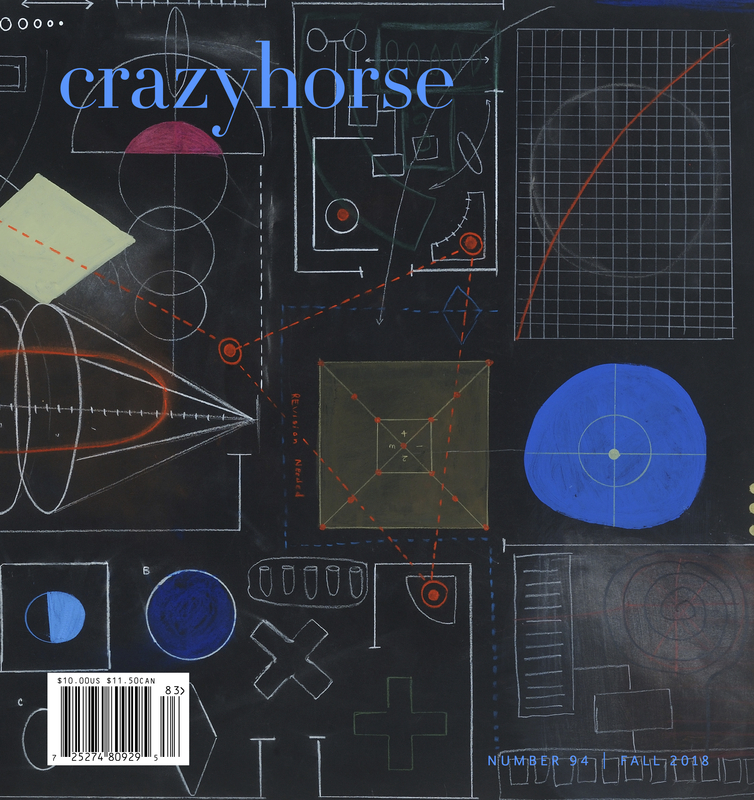 Julian is drawn to the obscure and surreal and “lately, very interested in cults,” she said when introducing her first piece, “Reunion.” The first sentence is striking and immediately sets the tone for the evening: “If you’d been kinder to your mother, maybe she wouldn’t have gone and joined that cult.” There is a hint of dark humor in her writing that is deepened by an eerie underlying sense of realism and familiarity. Julian quickly hinges on our connection to the world and dives into some other place entirely. As McSwain said in her introduction: “I found myself staring into landscapes I knew by heart, nostalgic for the familiarity of these ordinary spaces, then promptly abducted by creatures not of this world.” We find ourselves readily welcoming these abductions, wanting to explore the worlds that Julian has so seamlessly crafted. Julian clearly has an affinity for place—creating worlds and nurturing a relationship between readers and these places. She followed up with another new piece, “Flyover,” which was inspired by her time living in the Midwest where towns are often named after other exotic locations such as Mexico, Missouri, establishing a sort of familiar, yet disjointed relationship to these places. In the story’s “safe, small” town of Flyover, people mysteriously appear in the sky and fall to Earth—most die, but some survive. At the heart of this piece is not the problem of these sudden appearances, but the narrator’s mother-daughter relationships as she grows up in this bizarre place. Along with the narrator, we see her mother bring a fallen woman granola bars before sending the survivor away with the reminder: “These aren’t your people here.” Now an adult with her own daughter, the narrator must decide how to raise the child in the midst of these occurrences. Still too young to understand, her daughter will ask where the screams are coming from as people fall from the sky. We see the narrator diverge from her mother’s path as she shares with the readers: “I tell her that’s the sound of shooting star. 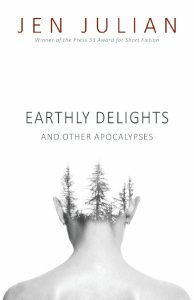 Her final piece of the reading, “One For Sorrow, Two For Joy,” is included in Earth Delights and Other Apocalypses and has previously appeared in Beecher’s Magazine. Julian told the audience the title comes from “Magpie,” a nursery rhyme, inviting the characteristics of a magpie into the main characters of the story; collecting thoughts, collecting objects, collecting the missing, as the magpie collects. The story is in letter form, speaking to an absent character Vic, whom we learn has died. They are letters, longings, from an aunt to nephew. The piece starts, “Vic, as you know, there are so many thoughts of you that you may never hear.” This note, somber and loving, carries the piece through to Marcie, his sister, acting out after his death, collecting seemingly random objects. Our narrator cites a critique of Marcie’s actions from another town member, “She’s sixteen now, isn’t she? This something a younger child would do. One who still plays make believe,” all the while the narrator trying to “pretend it didn’t bother her. All the while the narrator ‘pretending’ to speak to Vic in her head. Near the close, our narrator begs of the missing, “If you do come back, save your sister. She’s bound to get crushed under the weight of this place,” our narrator begging in grief to the missing piece of their familial collection. Concluding the reading, Julian answered questions about her writing and different processes she has for her craft. Julian, having only published short stories and essays, was asked if she was interested in working toward a longer form, like a novel. 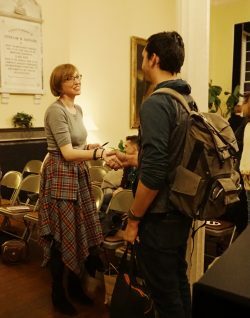 She proudly said, “Yes, two in fact.” Of the short form, Julian said, “It forces you to focus in on story and language, moving from one sentence to the next in a very condensed way. That’s something I’ve carried over to novel writing.” She went on to say, “the process of writing has become slower and a more methodical process.” In a later question, an audience member asked, “How do you know when a story is done?” Julian replied, “I’m an obsessive reviser. I will chop a piece up, re-work it. I’m not afraid to make a story something completely different than what it was. As long as I’m interested in a story, I will continue to work with it…It’s like a puzzle I get to fit together.” As Jen Julian continues to work and re-work, we eagerly await what comes next for her.